Tasted at the IMW Lafite seminar in London. 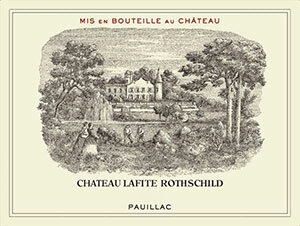 The 2000 Lafite is darker in colour and appears less mature than the 2003. It has a glorious bouquet with very good fruit intensity: blackberry, small dark cherries, crushed stone and a touch of cedar, a quintessential Cabernet Sauvignon nose. The palate is medium-bodied with supple tannins: broody dark fruit, a touch of sandalwood, graphite and a hint of balsamic. It is very nicely balanced although not as powerful as expected, a wine that is perhaps gone into its shell. The finish is well defined, the graphite element coming through strongly, with a long tail of supple, primal dark fruit lingering in the mouth. Graceful and refined, this is a very assured expression of its terroir. Tasted February 2012. Dark ruby - same colour as Ch Margaux 2000. Very light - almost soapy - on the nose. Lots of chew and potential. Polished sinewy tanins but not nearly ready - however many bottles have already been drunk in China! Appetising but wait. Green notes at the moment. This has length and potential.